This whisky is currently on the 3rd best whisky in whiskybase, but it was the first for a long time. Now I can understand why. After yesterday's Tormore 1966 Samaroli I didn't think it could come any better. I was wrong. Maybe not even better, but more harmonious. The nose, the taste, the finish, the balance. It's "just" 96 (4 x 24) points using old rating system and not 100 because who knows there might be better. It was a real masterpiece and a great honor to taste it, so many thanks for the sample. Today is the 8th WhiskyShow here in Budapest, this was my seperately show. With water it's more refined and creamy. More ripe fruits and peat, which is enduring on the finish. Restrained and elegant at first. But it will slowly open. It's a surprisingly floral start. Rose and honey. A fruit bomb, especially red apple, melon peel and apricot. Banana shake and pina colada. Vanilla pudding, creamy peat, raisin, rum cherry and smoked ham. Powerful and incredibly complex. Here is also a floral start. Honey, vanilla and candied orange peel. Fruit salad with apricot jam. Marzipan, lemon sorbet, creamy peat and spicy oak. Malt, brown sugar and milk caramel. Lightly hot mango chutney. Amazing deepness. Long, fruity, waxy, sweet. No unpleasant flavor, perfect cleanliness and harmony. Is it really the best whisky ever? I don't know, but it surely is extremely good. Got to give it another try next to the majestic 21YO from the 1990s to find out how great it truly is. Apricot, honey, crême brûlée, apple, tangerine, melon and coconut. Then banana. Apricot jam, honey, vanilla, apple, orange zest and marzipan. Vanilla pudding, apricot, honey, coconut, almond and oak. 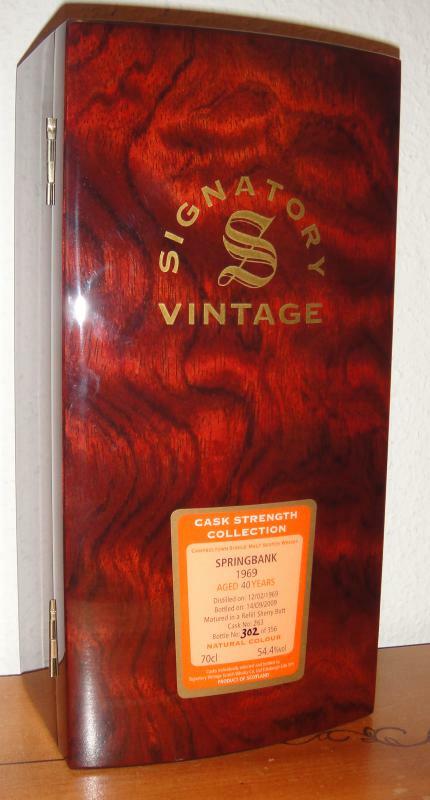 N: If we had taken off with the Benriach, we are now cruising at altitude with Springbank. This beauty contains all-sorts that include a cream element leading to cake icing=emulsion, violets, puncture chalk and apricot fruit jams. Spot-on! T: Again, everything you’d want is here. That includes a floral bouquet, apricots and chewy, dry, earthy Brora-eseque hues, though in truth we are now slipping away from the objective plain. Soft aniseed warmth on the turn. F: Sweet bourbon action [though a refill sherry cask is stated!? ], deep dunnage chalk, herbal/fungal/earthy culminations,.... rolls on & on & on. C: Not a Bowmore in sight, yet this is super-league stuff. 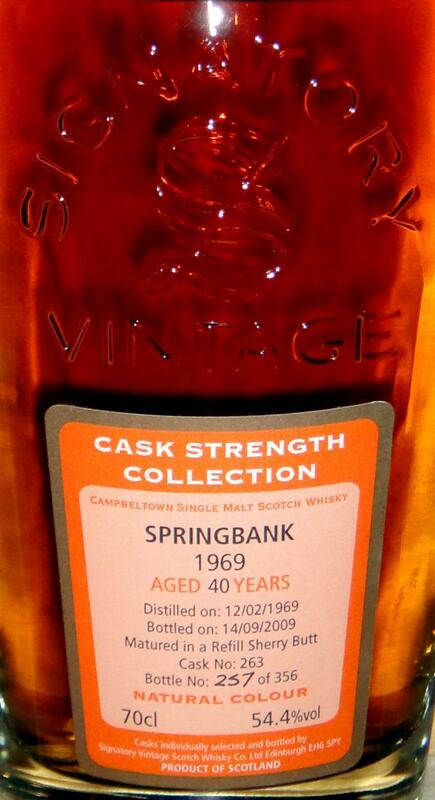 The best whisky (and the best Springbank) ever bottled? That's a bold statement. But after sipping it you wouldn't want to argue about that. EditJust wondered why my bottle picture was removed, it is provenance that I have actually tasted this whisky? (bottle 284) I have also tasted this from another bottle. This Glenfiddich 1956 It was so good that the Mother of all head to head tastings I was planning for a few months time will have to be brought forward to this evening, so I can compare the other contenders to this one. ome whiskies on here have massive scores from people, I just want to know from a personal level if I agree. This sample from different bottle to the first time I tried it, which was from bottle 284. 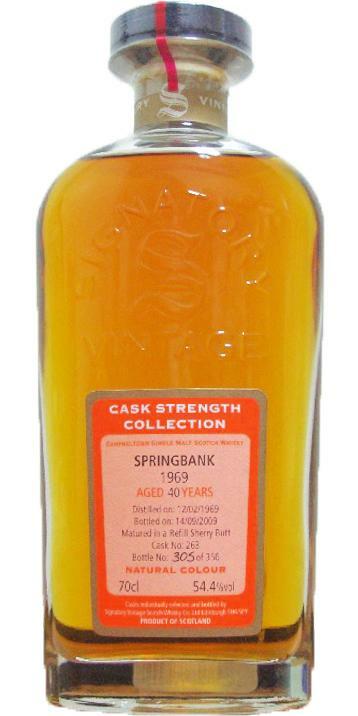 Springbank to be tried first. https://www.whiskybase.com/whiskies/whisky/427/brora-3rd-release 93.98 points , 208 votes, I decided it would be worthwhile including this one, which due to the peat I will try last. 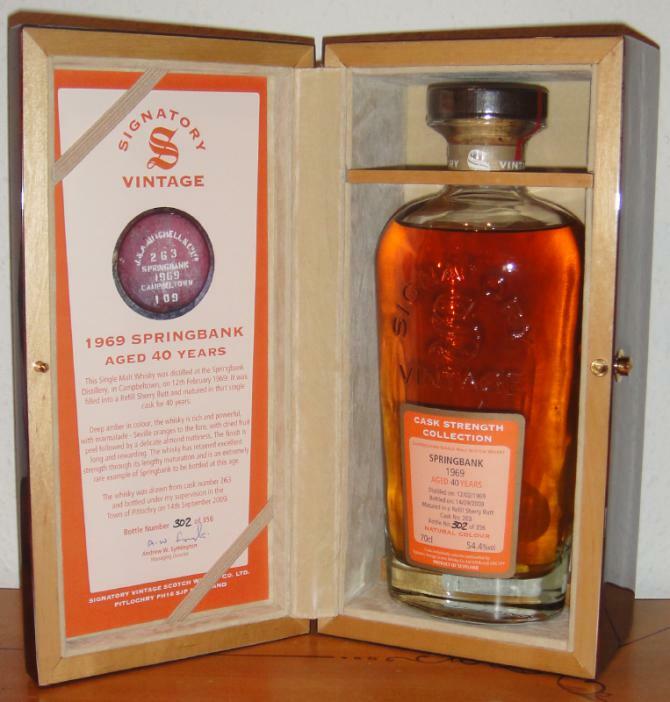 This Springbank I intend to try H2H with this Glenlochy, which for me was outstanding. This is the highest scoring whisky on WB, does it deserve that score, well possibly it does. Is there better whisky out there, yes but they are few in number in all honesty. Is it the best whisky I have tasted, no, but its right up there, possibly top 5, certainly top 10. Got a little extra from the nice barman , rather than just 2.5cl so had a decent amount to try with & without water. I have a sample of this at home and I intend to try this H2H with 5 or 6 other whiskies in the top 100 soon. This is why trying whisky in isolation and scoring sometimes is not representative for true comparison purposes,if going by scores alone. Trying a bunch of whiskies together is in my view. It is a great dram, superb is not a word I really use but I might make an exception for this one. Price point is what a bottle cost on release, this dram was expensive but worth it in my view. Nose - Very restrained now, elegant . still fruity but also some floral notes. Palate - Very, very sweet on pineapple, yellow plum & peach. Finish - Good length, some oak coming through now but the fruit is always there and right at the end some whiffs of cheese. Honey, coconut, a little rum & raisin. vanilla ice cream, peach, whiffs of sweet smoke. Orange, lemon, fruit sweets (mainly orange), the bitterness has gone now, traces of peat. This is a fruit salad with custard.